We’ve all been victims of this unholy phenomenon at one point or another. We’ve probably all questioned our food choices when yet another pair of freshly laundered trousers refuse to fit our ‘curves’. Don’t worry! It’s not that you’re getting fat (although you never know). 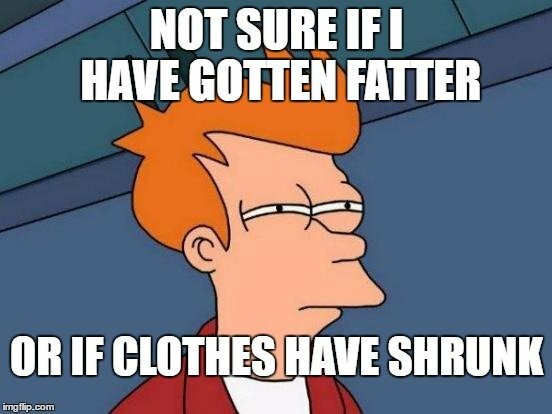 A more likely explanation is that your clothes are deceptively shrinking to remind you that a diet might not be such a bad idea. But how does this even happen? What is it about laundry that changes the shape of a product? It all basically stems from the kind of fibers your clothes have. There are two kinds of fibers – synthetic and organic. Synthetic fibers differ from organic fibers in one crucial aspect. Synthetics are man-made polymers, such as polyester, rayon, etc. 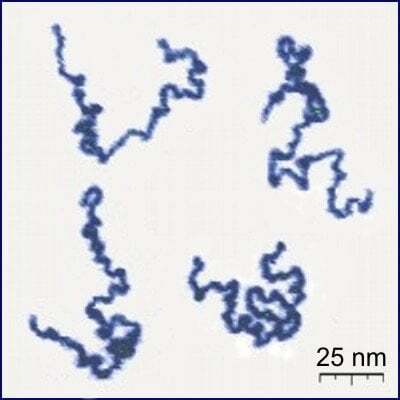 whose fibers are made of petroleum-based chemical chains. Synthetic fibers do not shrink because the washing machine does not get hot enough for these petroleum-based fibers to change their molecular structure. Also, these fibers are manufactured to be straight and ready to be woven. Organic fibers, on the other hand, do not occur in a naturally straight form. They are usually too tangled to be used effectively. Manufacturers have to draw them out and spin them into threads before being able to make clothes out of them. You have to stretch them out before you can make them usable. This pulling of fibers obviously creates tension at a molecular level. Putting this unnaturally strained fiber into your washing machine doesn’t help it retain its shape. You see, your washers are technically places to conduct daily chemical experiments! You add a lot of heat, mechanical and chemical energy into the washing machine, so no wonder that your clothes react! Scientists, quite unimaginatively, call this process shrinkage. There are three different types of shrinkage: Relaxing, Felting and Consolidation. 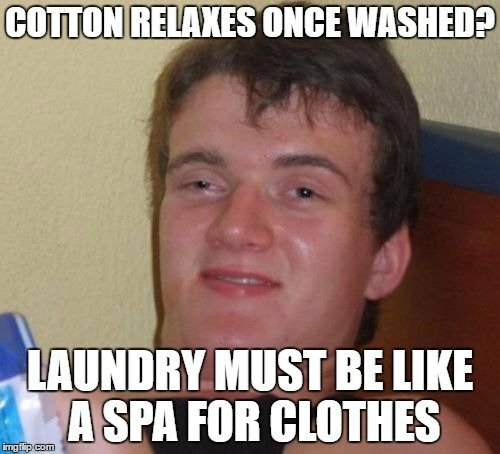 Relaxing is what happens when the tension within the natural fabrics is threatened by the laundry process. The warm flowing water in the washing machine practically unravels the fibers at the molecular level. Relaxation is the immediate release of the tension caused by the straightening of the organic fibers. The stressed out molecular bonds relax in the presence of tepid water, and you are left with a fabric whose size has been reduced by at least 1 percent. 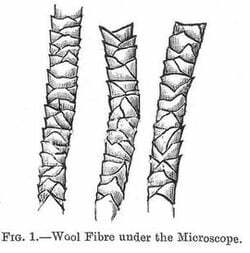 This is seen specifically in woolen clothes, due to the structure of woolen fibers. To understand, you would need a strand of hair for reference. It’s okay… your own will do! Now, feel the texture of the hair from its root to its tip. Feels smooth, right? Now move in the opposite direction…. not so smooth anymore, is it? This is because your hair seems to have scales on it. Wool suffers from the same anatomical hiccup. If you look at a wool fiber under an electron microscope, you’ll notice plenty of tiny scales running all across the length of it. When wool is exposed to the heated watery frenzy of the washing machine, the scales expand, letting water get between them. The scales, now wet and slippery, slide towards the root, similar to the way a radio antenna collapses. Therefore, it’s not incorrect to say that laundry can potentially shrink even the length of the individual woolen fibers in your favorite sweater! While the previous two kinds of shrinkage are a result of the heat generated in the laundry process, this type of shrinkage occurs due to the mechanical strain put on the clothes. Clothes in the washing machine quite literally get beaten up until they’re totally clean. This beating process curls the fibers up in their natural tangled state. 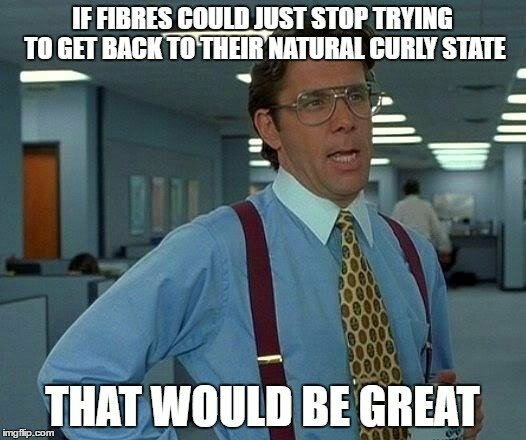 Of course, the amount of shrinkage differs from one natural fiber to another. Researchers have also found that the structure of the fabric plays a role in shrinkage. For example, cotton is used in the manufacturing of both denim and gingham, but denim is extremely tightly woven, which is why there is no room for the fibers to shrink. In gingham, however, there is plenty of room. 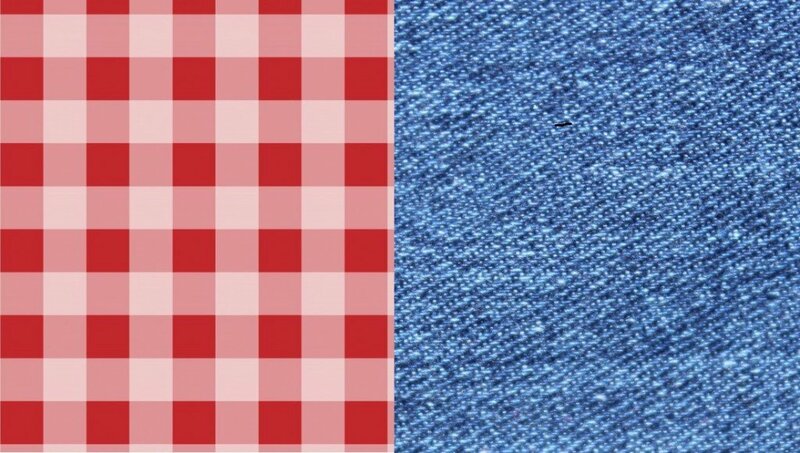 Shrinkage therefore affects gingham clothes more noticeably. Woolen clothes are even more loosely woven, making them much more susceptible to shrinkage than any cotton fabric. Another factor that plays a role in shrinkage is the moisture content of the fabric. In cotton, this is about 5 percent, while in wool, it is 17 percent. When a cloth is over-dried, it loses this moisture, thereby shrinking slightly. Wool, again, draws the short straw here, as it has far more moisture to lose than cotton. Clothes, as you can see, go through the struggles of laundry cleaning after every use. For this very reason, manufacturers, taking inspiration from the methods once used by Nazi scientists, make clothes with strands of plastic spun in with the natural fibers. This automatically gives the fibers too little space to shrink effectively. However, that is not enough to battle shrinkage. It is the consumer, in the end, who must deal with this problem. Remember… manufacturers put tags on your clothes for a reason. They know their products best and understand its structure better than your annoying, meddling neighbor who insists on weird solutions to prevent your clothes from shrinking. In other words, if you want to avoid shrinkage, just remember to follow the instructions!